Are you planning a team day out or spot of client entertainment? 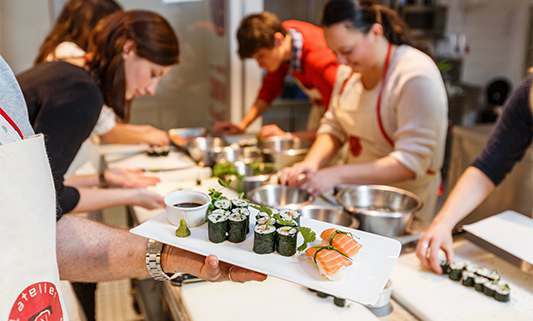 Join our professional Chefs and event hosts in a privatised state of the art kitchen for the tastiest team building experience and client entertainment in town! 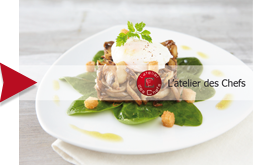 L’atelier des Chefs’ two central London based venues, Oxford Circus and St Paul’s, are conveniently placed in the heart of London’s vibrant West End and City of London business district. 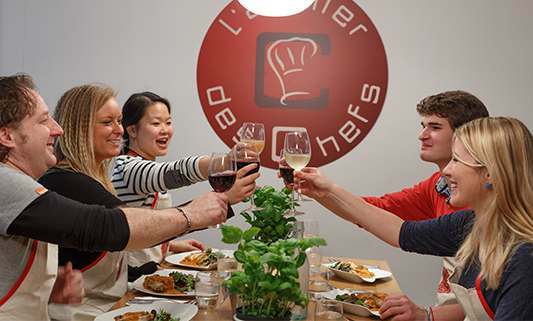 Our Chefs have cooked up some truly tasty, interactive and creative cooking events to cater of all cooking abilities and foster some healthy culinary competition! After your cooking experience you will sit down with your colleagues in our spacious dining area to enjoy the fruits of your labour over a well-deserved glass of wine. • Cook & Dine – in your private kitchen, embark on a culinary adventure to create an exquisite top class three-course menu. • Market Chef – split into teams to hit the local food markets Apprentice style before returning to work with your personal Chef to create the winning menu. • Chefs Challenge – teams are assigned a Chef and a box of ingredients, spices & herbs to create the tastiest meal. Points awarded for flavour, presentation & creativity. • Street Food Market – we turn our kitchen into your personal street food market for you and your colleagues to cook and eat your way round the world. All event bookings have the option of a Wine Tasting or Cocktail Making sessions with London’s top sommeliers and mixologists. Our tantalising corporate event menus are fully customisable to cater for a wide range of dietary requirements and food allergies.